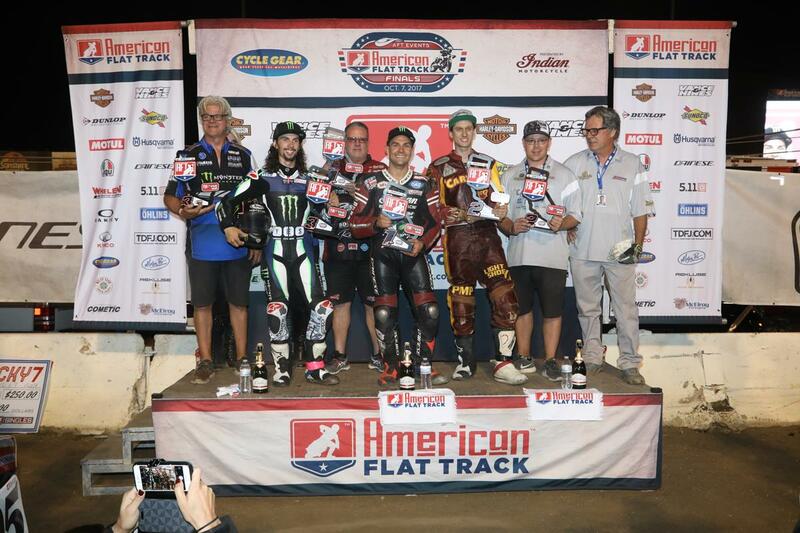 After absolutely dominating the American Flat Track Championship in their first season returning to racing for over 60 years, it will come as no surprise to learn that Indian have taken a clean sweep of the 2017 championship, with their riders clinching the top three spots. Jared Mees secured the rider's championship with his ninth win of the season at the Williams Grove Half-Mile in September, and his Wrecking Crew team-mates Bryan Smith and Brad Baker secured second and third at the final round of the championship in Perris, California. Which has been your favourite race series of 2017? Mees won the final race, and set a new single-season record with 17 total podiums. In total the Indian team took 14 wins. Over the 18 race season there were only four races without an Indian rider on the top step. Baker, who missed the final two races due to injury, was the only Indian rider not to win a race.